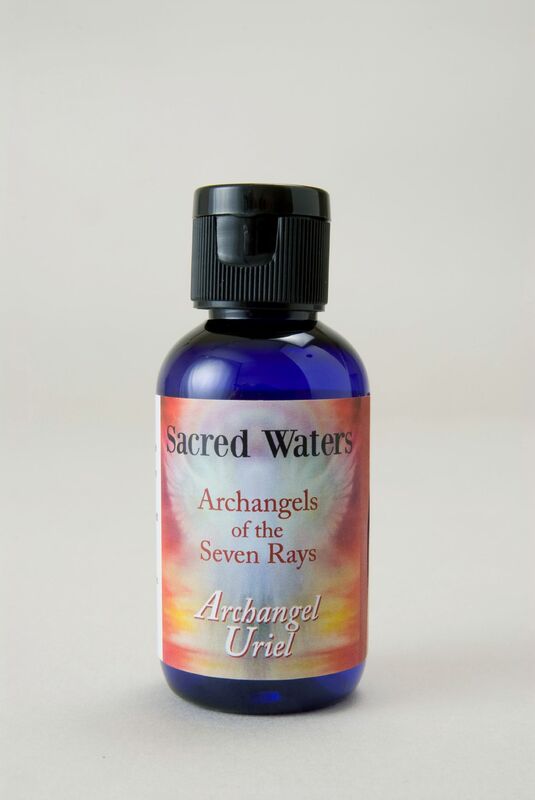 Embrace the enchanting energy of the Sacred Waters of Archangel Uriel who serves on the ruby ray of spiritual devotion and mastery. Embrace the enchanting energy of the Sacred Waters of Archangel Uriel who serves on the ruby ray of spiritual devotion and mastery. He is also known as the Regent of the Sun and shines his light into the deepest recesses of our soul, helping us face and release our fears. We can call upon Uriel to boost our courage and stamina, empowering us to discard outdated habits or belief systems. A magical formula containing the aroma of Lime, Sandalwood and Tangerine. Floral Water. Holy Water. Gem Essence of Ruby.